Once you have decided the service you require you simply decide if you need us to provide you with our free paper sacks, lockable wheelie bins or if you are happy to send your data in your own secure containers. 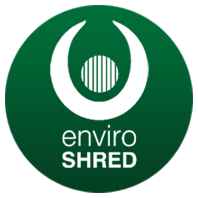 Then email info@enviroshred.co.uk to request sacks/wheelie bins or to book a collection, or call 01544 262 777 for more information. There is no contract or obligation to use Enviroshred. We can guarantee a quick turnaround for businesses within Herefordshire area. We're also registered waste carriers with the environment agency.